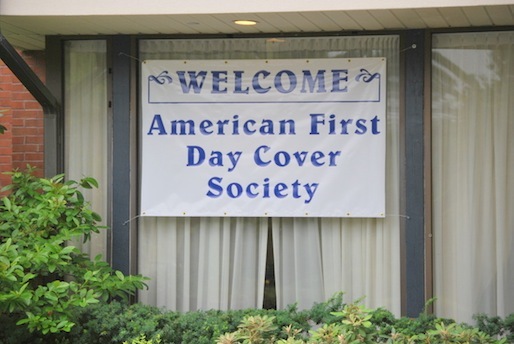 First day covers are the center of attention at Americover, the annual show and convention of the American First Day Cover Society. Admission is always free. The three-day event is a World Series of Philately show, and the exhibits are nearly all FDCs. The Grand Award winners are eligible to compete for the WSP Champion of Champion trophy as the best exhibit in U.S. philately. Americover also features the most FDC dealers of any show in the world, both in its main bourse and its Night Owl cachetmakers bourse. The latter is by far the biggest and busiest cachetmakers bourse of the year, as FDC producers showcase their latest efforts. There's also often a major auction of first day covers. Each year, the Cachetmakers Contest awards are announced at the Friday night President's Banquet. 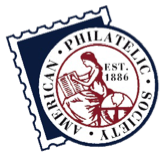 The AFDCS and other philatelic organizations conduct a number of meetings and seminars during Americover. There's a youth area where children can make their own cachets and learn about stamp collecting. But for many FDC collectors, Americover is as much a social gathering as anything else, a chance to renew old acquaintances and meet new people. There's a guided tour of the area the day before the show opens, a food and entertainment event the night after it closes, and in between, a hospitality suite or two, a supper buffet, and all sorts of informal get-togethers. Americover is held in a different part of the country each year, usually in late July or early August. The shows are held in hotels, so there's no problem with transportation each day, and the show's hotel rate is right around $100 a night. Dealers interested in participating in the bourses should contact Foster Miller at fmillerfdc@gmail.com or call (301) 974-1564. For general questions, e-mail showinfo@afdcs.org.